John Foster is the European Business Development Manager for BIM at Topcon Europe. 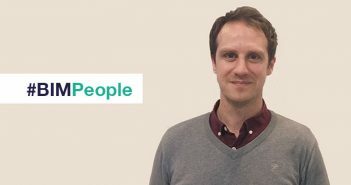 John has over 20 years’ experience in AEC and manufacturing software – covering software development, consulting, business development management and sales in his career. Established for over 20 years in Ireland, Topcon continues to go from strength to strength in the Irish construction industry. Here, John answers our questions on his work with Topcon, BIM and industry collaborations. Can you tell us about your role and duties at Topcon? 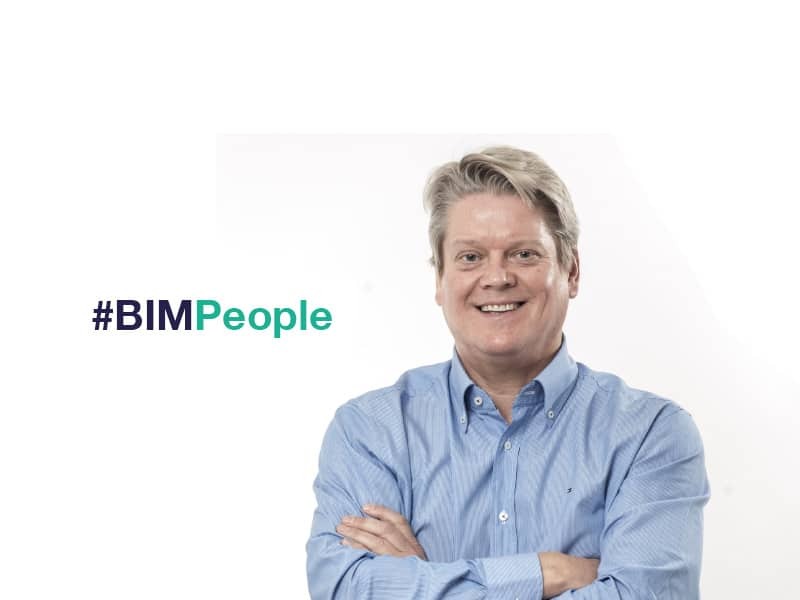 I am responsible for business development across Europe, including Ireland, with a focus on BIM and digital construction primarily within the vertical construction market. A key aspect of my role is developing our software partnerships for integrated technology workflows and developing our distribution partners to bring these advancements to the construction industry. Has BIM adoption increased sales of Topcon equipment? Yes, particularly in Ireland. Our integrated BIM technology has been very successful in this market, specifically our robotic total stations. We’re working with a number of leading contractors to introduce this automated approach to construction sites. Irish housebuilder, Cairn Homes, for example, has been using our DS-105 robotic total stations with BIM integration on its Parkside development in Dublin. The DS series features MAGNET Field software which allows users to collect positioning data and perform a range of surveying functions (as well as GIS mapping) and then feed this data into BIM models directly through the cloud. What are the big changes for construction and surveying equipment in recent years? The key change we’re focusing on is the improvement of workflows through the integration of hardware and software under one system. This approach to technology makes it much easier for construction professionals to share information and data from the field or office through the cloud, simply by using mobile technology. The accessibility of reality-capture hardware and software has led to a rise in the use of reality-modelling for an increasing number of applications. For example, progress monitoring, 3D verification and inspection using a variety of different methods including unmanned aerial vehicles (UAVs), laser scanning and mobile mapping. What support services do clients now require? Many of our customers are recognising the benefit of moving from traditional methods of construction to digital construction systems due to the clear cost and time savings. This means we need to understand our customers’ existing workflows to be able to offer them new ways of working that will provide clear return on investment. A key way we’re doing this is by developing new, industry-leading partnerships with software vendors. Our partnership with leading software solutions provider, Bentley Systems, for example, means we can connect our cloud services for enhanced integration across the workflow. This is a new approach to automating the digital construction called Constructioneering which involves bringing processes like surveying, engineering design, constructible model development and as-built data collection together within one connected data environment. At Topcon’s recent Year in Infrastructure event with Bentley, we announced the next stage in this partnership in the form of our Constructioneering Academies. 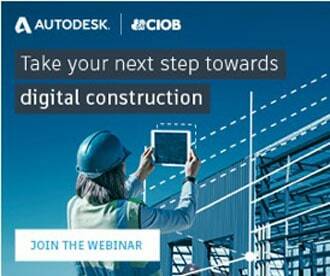 These are designed to educate civil design build professionals on the digital construction process. Attendees will learn how they can leverage mass data, digital cameras, design models, and automated machine control to win more work and execute projects more efficiently. What is the breakdown of your customers in percentages with regards profession and size? We think it’s important to offer solutions at all levels so that everyone can benefit from the increased efficiency our new technology delivers. That’s why we work with customers of all sizes, from tier one contractors to SME survey companies. We also work closely with the largest Original Equipment Manufacturer (OEM) partners, delivering intelligent machine control systems on major projects, right down to the self-employed surveyor using a BIM robotic total station. Please describe Topcon’s vision of the automation of construction? Topcon’s vision is simple: automate the largest manufacturing industry in the world – construction. As the global positioning partner for construction and geo-businesses offering precision technology, Topcon is dedicated to continually improving construction productivity. Companies around the globe rely on our advanced measurement, automation, and data collection and deployment systems to help them create and repair structures more quickly, safely, and cost-efficiently. Our Constructioneering concept with Bentley is bringing this vision to live. It allows users to start from a reality-captured survey context and leverage and update their digital engineering models throughout the construction process in real time, at any time. Compared to traditional workflows between design and construction, Topcon provides seamless integration for models that offer real-time updates and data exchange between office, field, and machines for improved efficiency and cost reduction. To deliver a complete preliminary survey, mapping professionals are required to use everything from traditional surveying equipment to mass data-capture solutions, along with applications capable of fusing captured data into a single reality mesh. This reality mesh serves as the foundation of design generation today. While continuously updated, reality meshes will serve as the turn-by-turn instructions for construction automation in the future. Please tell us about Topcon’s BIM R&D collaborations? We have a strong pedigree in BIM R&D and innovation, being the first organisation to partner with Autodesk to deliver integrated BIM workflows for layout and verification. This integration was initially delivered with a pioneering robotic total station that focused on simplicity, low cost and mobility. Currently, all our robotic total stations can be integrated into Autodesk BIM workflows, providing a more streamlined workflow, with detailed data and increased access to point clouds. Please tell us more about Topcon’s collaboration with Autodesk? As well as the BIM layout technology mentioned already, we have collaborated on machine control integrations with Autodesk C3D and our reality capture aggregation systems, Magnet Collage and Autodesk reality modelling software, Recap. Will collaboration between software companies and equipment manufacturers change BIM and the broader construction industry? Absolutely, it is essential that we offer enhanced, more efficient integrated BIM solutions by collaborating with our strategic software partners, like we’re doing with Bentley and Autodesk. Can you tell us about the latest innovations in surveying hardware? One of the most popular technologies at the moment is our BIM integrated robotic total stations. By connecting to the BIM model directly in the field through a mobile device, users can reduce risk and streamline the workflows between the site and office. Another example is 3D verification using short range laser scanners. These are small, lightweight, portable and simple to use. They also integrate with the cloud for processing and downstream delivery of data. We’re also seeing an increased demand for UAVs. The combination of rapid reality capture and simple photogrammetry and processing software is making it much easier for our customers to deliver modelling and collaborative processes. UAVs also minimise the number of people needed to complete surveys on the ground and make it possible to take on much more challenging surveys due to the advanced technology and single-person operation. The technology is making it much easier for surveying companies to break into new markets and complete more complex and high-risk surveys safely and easily. Murphy Surveys is a great example of this. Following the creation of its new aerial survey division, MurphyUAV, the team has been using our Falcon 8 UAV to expand its service offering and produce even more accurate data for clients. What have been the greatest changes in your business since the announcement of the UK BIM Mandate? Since the mandate, we have seen not only growing interest in BIM technology like this, but generally more interest in improving workflows and scalable solutions across the industry, especially amongst SMEs. In the UK we started a number of pilots with major customers focused on BIM integration. These have resulted in the delivery of many groundbreaking projects. One such example is Hill Construction’s Anstey Barns, one of the first restoration projects of its kind to use advanced BIM. Using Topcon’s BIM 360 software along with the Falcon 8 UAV and DS robotic total stations, Hill were able to gather an enormously detailed scan of the original 18th century barns and feed this data into a 3D BIM model to identify and rectify any potential issues before restoration work began. What are your observations of BIM adoption in the Irish construction industry? We have seen a great deal of interest in Ireland over the last few years. In fact, some of the first BIM integrated layout and verification pilots we ran with Autodesk were based in Ireland with local contractors. I have attended previous CitA regional events and found huge interest in new BIM workflows and a real desire to understand what technologies are available and how these can be implemented and the benefits that can be gained. Do you have a message for Irish contractors and the broader Irish construction industry? For Issue 3 of 2017, Irish building magazine interviewed Jonathan Argue, Geomatics Technical Specialist at Topcon Ireland and he talked about their latest equipment, services, applications and savings, BIM and data, and collaboration in shaping the built environment.